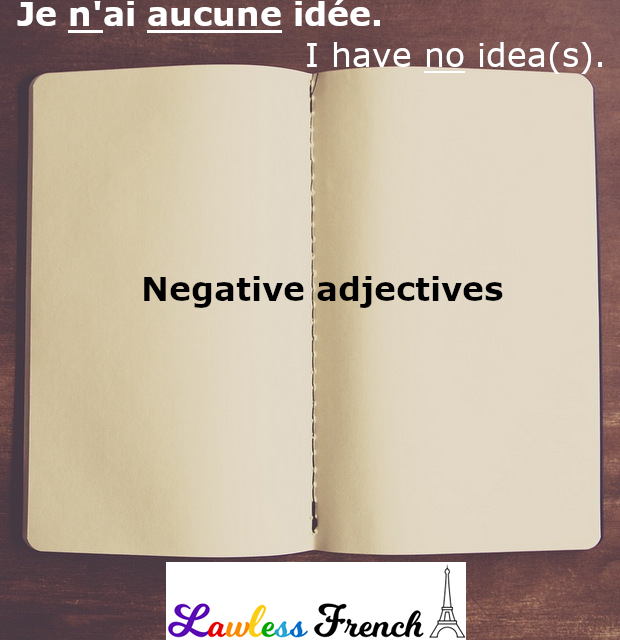 French negative adjectives are used to negate or refuse nouns. Like other negative structures, negative adjectives – also called indefinite negative adjectives – have two parts. Nous n’y voyons nul mal. We don’t see any harm in it. Je n’ ai aucune idée. I don’t have any idea(s). 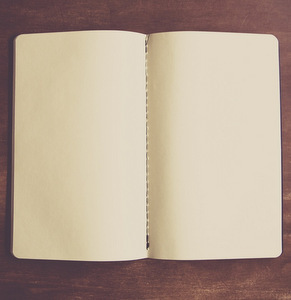 Have two parts: the word ne, which precedes the verb, and one or more words which precede(s) the noun. + Ne … aucun can be used with any kind of noun. + Ne … nul can be used only with collective and uncountable nouns, like water and happiness. + Ne … pas un (seul) can be used only with countable nouns, like teachers and flowers. Je ne connais aucun avocat. Je ne connais pas un avocat. Je ne connais nul avocat. I don’t know any lawyers. Nous n’y voyons aucun mal. Nous n’y voyons nul mal. Nous n’y voyons pas un mal. We don’t see any harm in it. Pay attention to word order when negative adjectives negate the subject of a sentence: the adjective must stay with the noun, and ne has to stay with the verb. Aucun étudiant n’a réussi à l’examen. No student passed the test. Nulle eau n’a été trouvée ici. No water has been found here. When a sentence with an indefinite article is negated with a negative adverb, the article changes to de. This is not the case with un in the negative adjective ne … pas un (seul) – it remains unchanged and creates a stronger negation. Negative adverb Je ne vois pas de chat. I don’t see any cats. Negative adjective Je ne vois pas un chat. I see no cat, I don’t see a single cat.